The Crafty Dream: Addicted to Stamps October Blog Hop!! 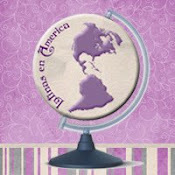 Welcome to the Addicted-To-Stamps October Blog Hop! This is our first blog hop and the design team has a lot of great projects in store for you. Please hop along as you may see some extra blog candy thrown in along the way. We have a prize for the Grand Prize Winner! 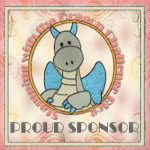 We will randomly draw on Monday a winner and you will win 3 digi stamps of your choice from our store. They are valued at $3.99 each, which equals a near $12.00 value. Also one of our bloggers is giving her blog candy in addition to this of a free copy of My Memories Suite digital scrapbooking software to the grand prize winner! 3. &nbs​p; Comment on all the blogs including the main one! 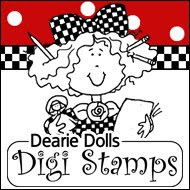 Today we are showing off a small selection of our digi stamps. We however carry many more digis, clear rubber stamps, molds and other products. 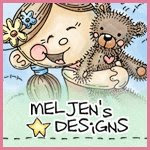 We also have another site that carries Fantasy Fabric Blocks. The Fairy Society- Has edible cake sheets! Here is an Altered Gift Bag i made with one of the wonderful digi stamps from Addicted to Stamps, i love their stamps and all the artists there are wonderful as well. I colored my digi stamp using Bic markers, i love this markers cause they have bright colors and also they blend pretty good, for the skin i used the prismacolor marker which i love too, in case you were wondering the flower and the leaves are made out of fabric, hope you leave a comment and enjoy the hop!!! Gorgeous, gorgeous, what more can I say?! Love the colors you chose, thanks for sharing. Everything about this is awesome! Love the coloring, image, flowers! Love the image. Vibrant colours! So beautiful. I would have a hard time giving it away. What type of paper o you print on? Lovely. Bet it was fun to color. Nice project! I became a blog follower! I really do love what you do with your projects and how you have made quite a few into the prettiest gift bags.